The Indian mobile market has grown into something of a marvel when it comes to the budget-friendly offering. And that has only made it confusing for the audience to buy the best smartphone in the market. 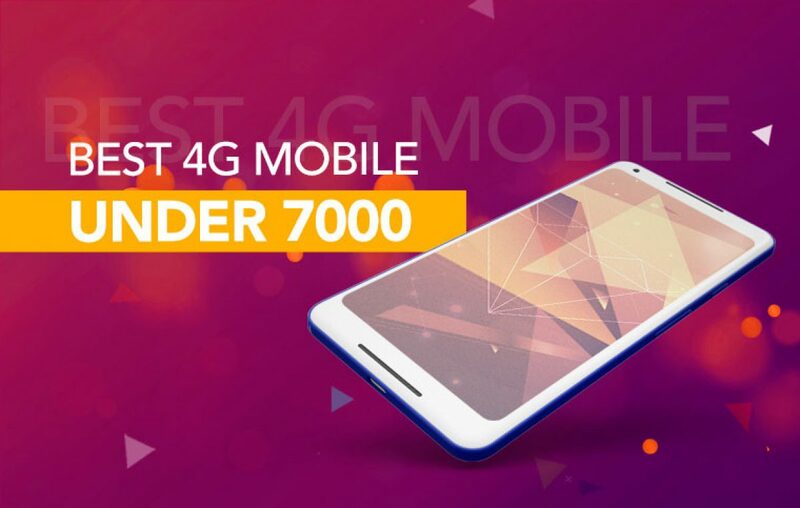 If you’re on a tight budget and hunting for a best 4G mobile under 7000. Then, you have stumbled upon the correct place. Today, we are listing down the best smartphones you could buy under 7000 in 2018. 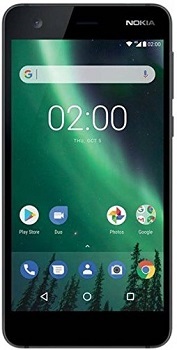 Launched under the Android Go Edition campaign started by Google, this Nokia smartphone packs minimalist specification and yet claims to offer best in class user experience. All thanks to the Android 8.0 Oreo (Go Edition). 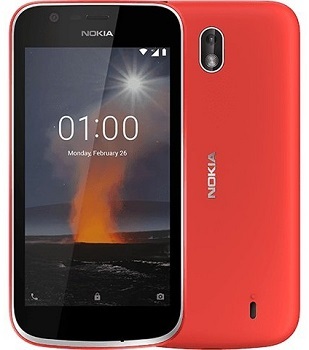 The Nokia 1 price in India starts as low as Rs 5,200 and it is available to purchase in online as well as offline stores. Thus, making it one of the contenders in the best mobile under 7000 price list of 2018. Sporting a 4.5-inch screen with an 854 x 480-pixel resolution means it is a compact device. 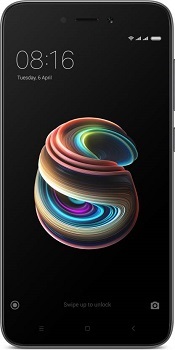 Equipped with a Quad-core processor, which clocks at 1.1 GHz, it is supported by a 1GB RAM and 8GB storage, which can be expanded up to 128GB via microSD card slot. In the camera department, it packs a 5 MP rear sensor with a support of LED and a 2MP front sensor. All this is powered by a 2150 mAh capacity battery. And that is all for the Nokia 1 specifications. If you’re looking for a more real estate, and large battery life, then, this Nokia 2 is a good option against the Nokia 1. The Finnish manufacturer started now have two smartphones competing with each other for best 4G mobile under 7000 title. Let’s talk about the Nokia 2 specifications. It comes equipped with a 5-inch 720-pixel resolution display with Corning Gorilla Glass 3 support. Running on the Android 7.1.1 Nougat OS based UI, it can be upgraded to Android 8.1 Oreo. Powered by the Qualcomm Snapdragon 212 Quad-core processor, which clocks at 1.3 GHz and accompanied by a 1GB RAM and 8GB storage. Talking about the camera package, it has an 8MP rear and 5MP front camera. Well, you’d be a fool if you thought there is no Xiaomi smartphone in this list of best smartphones under 7000. The Redmi 5A is a perfect fit not in just under 7000 category, but under 10000 also. It comes in two variants and is a perfect budget smartphone for someone looking to get the best experience in terms of specifications. That’s why you should know about the Redmi 5A specifications. The 5-inch display comes with a 1280 x 720 pixel resolution. Powered by a Qualcomm Snapdragon 425 processor, which is a Quad-core chipset and clocks at 1.4 GHz. It is supported by a 2GB RAM and 16GB storage. In the camera department, there is a 13MP rear camera and a 5MP front camera. All this is powered by a 3000 mAh capacity battery. 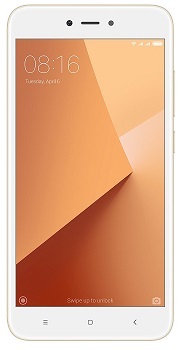 Essentially the Redmi 5A with a large screen capacity battery, the Redmi Y1 Lite is a good option to be considered in the best 4G mobile under 7000. Powered by fairly the same specifications, it retails for Rs 6999 in India. Talking about the Redmi Y1 Lite specifications, it packs a large 5.5-inch 720 pixel resolution screen. Good for that Netflix viewing on the go. Powered by a Quad-core Qualcomm processor, Snapdragon 425, it clocks at 1.4 GHz. The companion includes 2GB RAM and 16GB storage, which can be expanded up to 128GB via microSD card slot. The camera front has a 13MP primary and 5MP secondary camera. The device is powered by a 3080 mAh capacity battery. You might end up feeling sad for the Vision after watching Infinity Wars, but you don’t have to for this Vision. 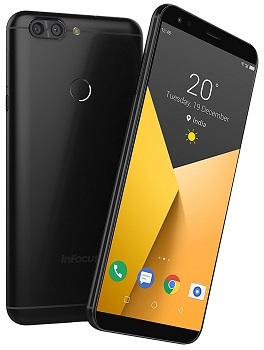 The Infocus has introduced their best affordable entry-level handset, Vision 3. It does not just keep up with the latest display trends but also scores well in the camera department. For a price tag below 7000, this is a pretty great smartphone. That’s why it is fit to be listed in the best 4G mobile under 7000 list. Apart from the fancy name, it comes with fancy specifications also. A 5.7-inch HD+ screen with 18:9 aspect ratio. Running on the Android 7.0 Nougat OS based UI, it is powered by a Quad-core processor, which clocks at 1.3 GHz. It is accompanied by a 2GB RAM and 16GB internal storage, which can be expanded via a microSD card slot. In the camera department, it has a dual rear setup including 13MP primary and 5MP secondary lens. Whereas the selfie camera sports an 8MP camera. All this is powered by 4000 mAh capacity battery. These are some of the best mobiles you can purchase below 7000 in India. We keep this best 4G mobile under 7000 updated as we learn about latest 4G affordable mobiles in India. Drop us a line or two and give us your feedback on this article to help you serve better. Previous article Nokia X6 - The next Nokia Smartphone you should know about! Next article Best Phone Under 25000 in 2018 - No BS Guide for your next purchase!